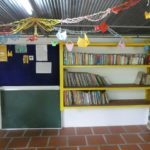 Our English Centre has been running since 2008. We hold 8 classes from Monday to Friday for 44 weeks of the year. Yearly enrolments are around 240 and we have a substantial waiting list. Students’ ages range from 7 years old to mature adults. We follow a formal, customized English-based curriculum developed to meet the needs of the student population. When we have volunteers visiting, we are able to offer a Reading and Conversation Programme offering formal one-on-one reading and conversation opportunities. Monday to Friday we hold a Playgroup for children aged 1-4 years, the aim of which is to encourage a love of reading together with motor and social skills. Monday to Friday we hold a Kindergarten session for children aged 4-5 years. 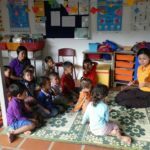 An ex-student, Kimhean, is now a fully qualified Kindergarten teacher and we are proud to have her on our staff. 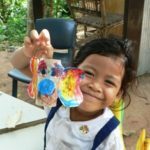 We hold 2 small reception classes Monday to Friday for children aged 5-7 to ensure their transition from Kindergarten to “big school” runs smoothly. Leadership Through English – an activity for Year 10 and 11 students to enhance their leadership, communication, conflict solving, decision making and responsibility skills. 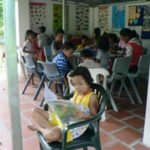 English and Khmer books available for student use. A specific internal and inter-school Class 6 activity designed to promote confidence and understanding of local issues. Environmental studies. 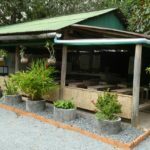 To compliment our agriculture/permaculture programme, environmental studies has been added to our curriculum every fortnight. In addition, all classes will have their own garden. Water Safety. Vital for all children in an area with the sea and dams. There is little understanding of water safety in the community and frequent drownings. Hygiene. 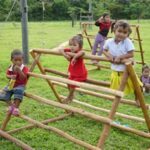 With limited facilities and close living conditions hygiene is a vital skill. Health Checks. Annual ear, eye and general health checks are conducted at the Sonja Kill Memorial Hospital, a private hospital outside of Kampot. Dental Health. Annual checkups and treatment from the dental clinic sponsored by the Buddhist Library. Social Responsibility. 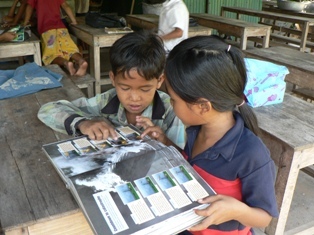 Every fortnight each class covers various topics to do with social responsibility. Health Workshops. When experts are available and willing we hold health workshops for the community, the latest for women on cervical cancer. Vision checks. For elderly members of he community. Child Protection. 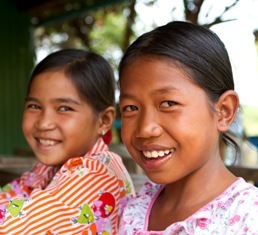 The openness and friendliness of Cambodian children needs to be weighed up against dangers from traffickers and those who would seek to harm them. We can ensure they know how to protect themselves. Child Labour. We work with the Government informing students and through them their families of the current laws regarding child labour and stress the importance of education. Drug Awareness. 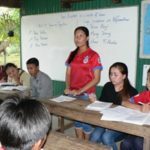 A member of the police force gives information to the older students each year and a psychologist from Phnom Penh holds a workshop for the older classes. Positive Thinking and Team Building. Excursions to a fully supervised adventure playground provides a fun way to learn these important skills. Driver Safety. Most families have 1 moto shared between all members of the family. Once the students reach high school many of them drive the moto occasionally with no training or licences. There are many accidents on the roads and often fatalities with the younger drivers. Critical Thinking. Activities to get the students thinking. Artistic and Expression Activities. Classes are incorporated into the English curriculum covering craftwork, painting, drawing, theatre, dance and music. In 2017 we were fortunate to have a volunteer hold drama classes once a week, the result of which was our “Happy” video. Sports Days. We have 3 sports teams who regularly compete against Our School and MCS, other local associations in the area. Entertainment. We have held a couple of movie nights and various concerts for the school and wider community.